On a cold night, in a cold room in late December people gathered; some Orthodox, some Protestant, some Catholic, some Buddhist and some who ascribed to no faith at all. We met to listen to an Orthodox priest. Why, because we all are cared about the plight of our world. 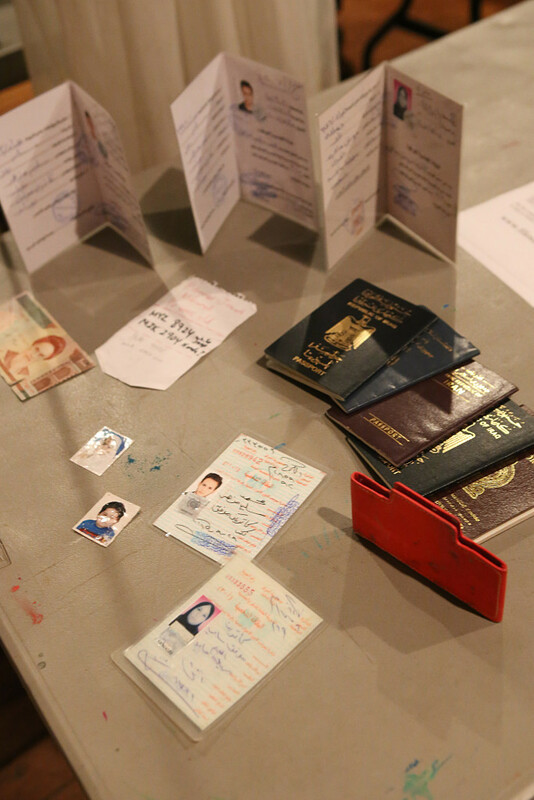 The particular plight that evening was the Greek refugee crisis and the thousands who were coming to his island, a Greek island, Lesbos, Turkey’s closest neighbor. 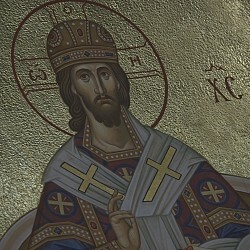 The story he told was of what it means to be a neighbor, a human,... a god. Orthodox priest Fr. 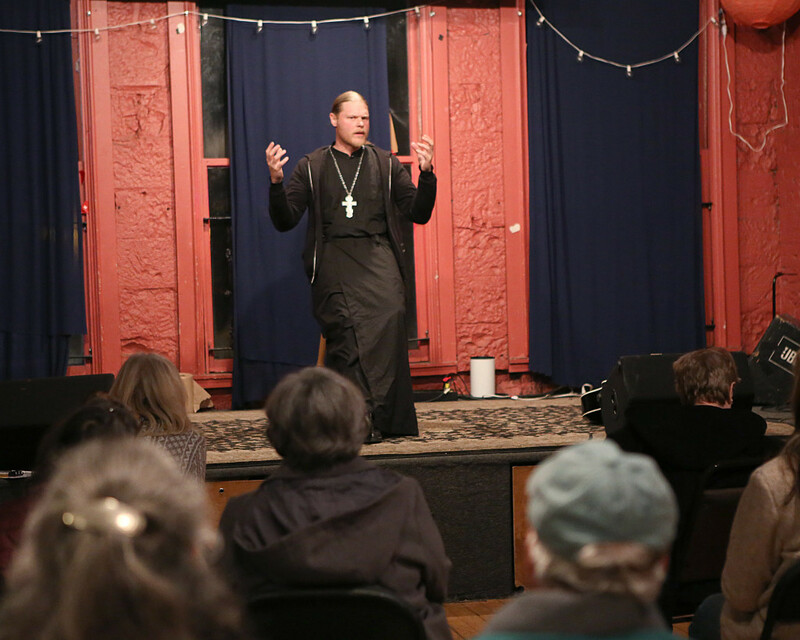 Christoforos Schuff spoke at the Cozmic Café in Placerville, CA, on December 30, 2015, as part of St. Elias Orthodox Church’s continuing Men in Black speaking series. 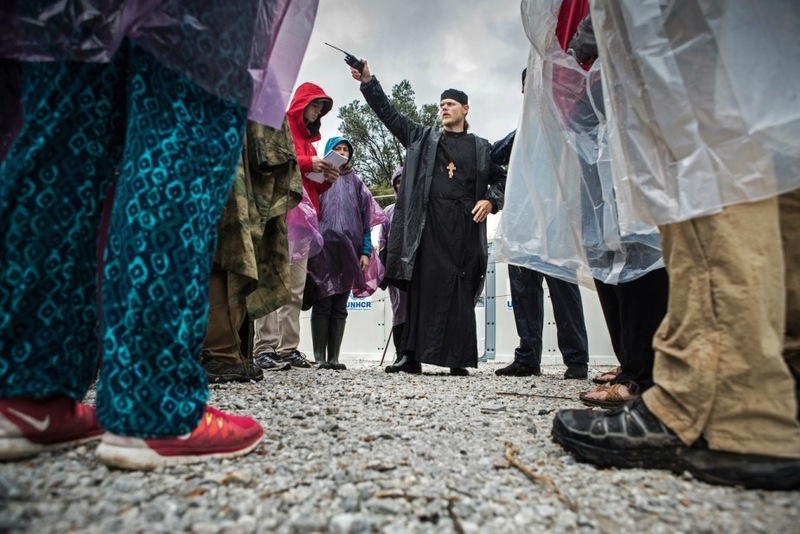 About the Speaker: As unprecedented numbers of refugees pour into Europe through Greece, Fr. 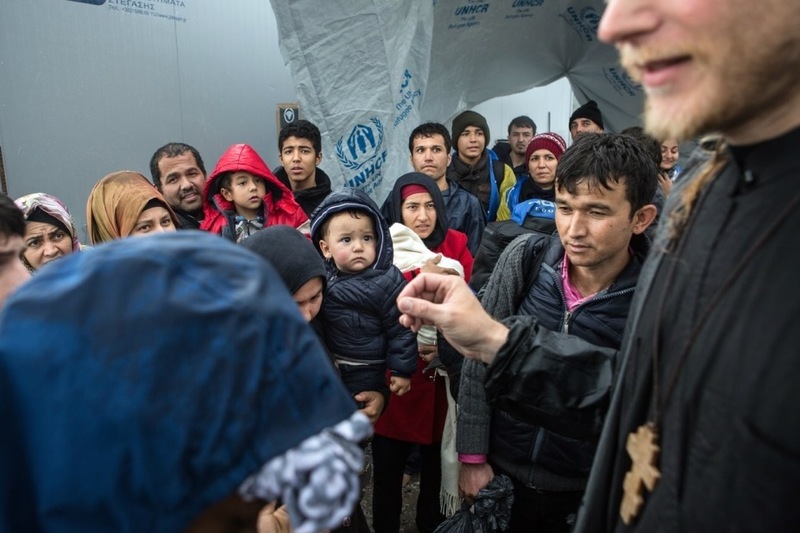 Christoforos Schuff plays a vital role as Site Coordinator for the UN Refugee Agency (UNHCR) on the Island of Lesbos, Greece. 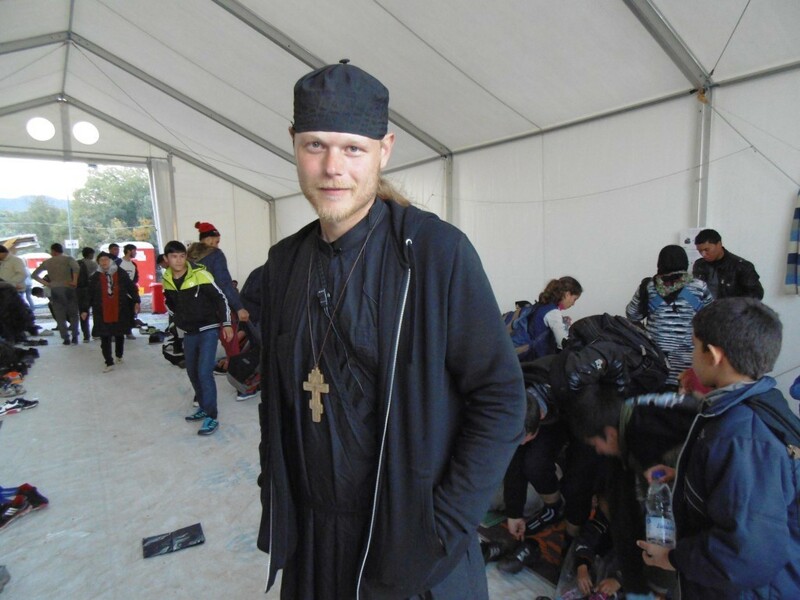 His recent work there, where almost half a million refugees landed in 2015, is a continuation of his efforts in Norway where he founded Filoxenos (www.filoxenos.org), an organization dedicated “to love the foreigner or sojourner”. Well known for his simple lifestyle, and his commitment to ecology and compassion for the poor, in 2013 he was awarded the Focus Prize. In 2015 he received the Bridge Builder Prize for his dedication to and solidarity with the poor and disadvantaged, in particular the Roma people of Norway. A native of Sacramento, Fr. Christoforos Schuff is an Eastern Orthodox Christian priest who makes his home in Norway with his wife, Hildegunn Maria Schuff and their three daughters.